you benefit from a fully transparent partnership based on trust and high quality standards. Cryostar is very demanding in terms of ethical standards, integrity and business relationships. We expect the same from our partners, adhering to our charter. This defines the basic requirements of high standards in areas of health, safety, human rights and work standards, all of which are in full legal and environmental compliance. Cryostar provides added value to efficient suppliers by allocating them annual or multiannual contracts, resulting in increased volumes and new markets, wherever possible. Innovation is at the heart of the Cryostar strategy. Our teams are constantly working on exploring new solutions. to link our suppliers upstream to our product development projects. to collaborate with proactive suppliers offering innovative solutions, whether in terms of technologies or operational organisation. Cryostar favours a long-term client/supplier relationship, and seeks to contractualize markets. This goes hand in hand with establishing volume forecasts for certain markets. 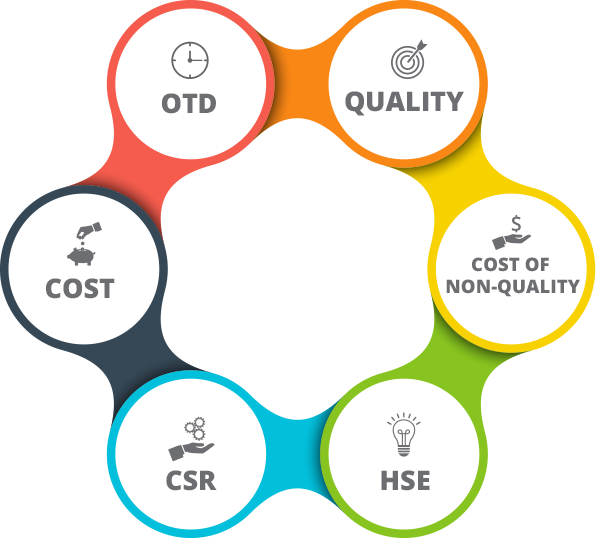 Our supplier efficiency expectations cover the monitoring and optimisation of six fundamental elements that impact the product: on time delivery (OTD), quality, the costs of non-quality, the respect of rules governing health, safety at work and the environment, corporate social responsibility and, ultimately, costs. Quality: minimum entry performance: less than 0.3% of parts are non-compliant. DDP or DAP delivery for French businesses.